Medical errors are one of the leading causes of death in the United States. But what’s being done about? 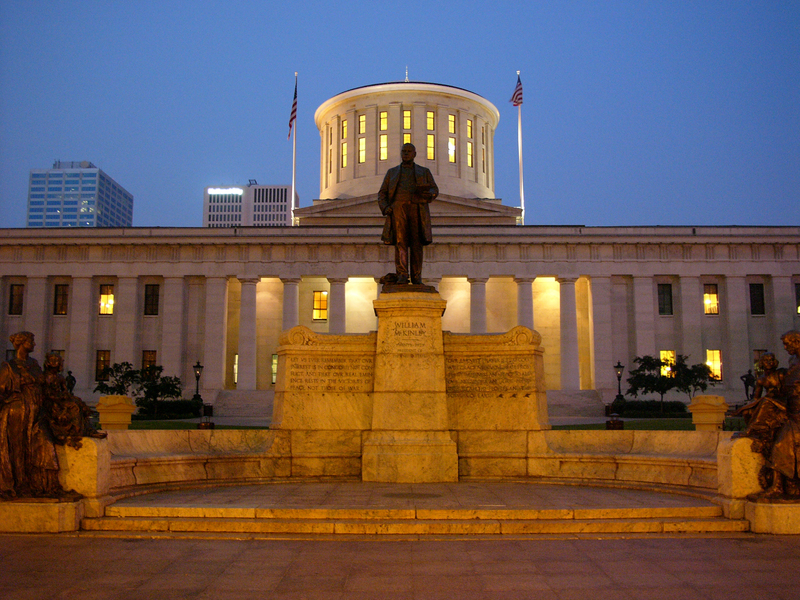 The Ohio Nursing Association believes there’s a link between fatigued nurses and medical errors so they’re pushing for Ohio lawmakers to make it illegal for hospitals to mandate overtime. 10TV uncovered the problem of nurse fatigue across the state and how this problem may have already had deadly consequences. A registered pediatric trauma nurse, who requested her identity to be protected, said she found herself forced to work so much it made her sick all while holding a patient’s life in her hands. “I remember thinking to myself I hope I didn’t miss anything I hope I didn’t overlook something,” she said. She wanted to go home and said her boss refused. It’s a story that rings true across the state. Jim Jasper says he understands. His wife was a dedicated nurse saying she often worked over. Elizabeth Jasper’s specialty was working with bone marrow and dialysis patients and that specialty led to her having to work well beyond her 12-hour shift. “They couldn’t use agency nurses or float nurses from other floors because they were not trained on the equipment. She felt obligated to go into work,” he said. He said her long hours became a concern at work and at home. “We had talked often about making a change because this could not continue,” he said. They didn’t get the chance to make that change. “On her way home from work on March 16, 2013, she fell asleep and passed away,” Jim said. Her car went off the road and hit a tree. Jasper said he believes her accident was a direct result of working beyond her hours. While these examples may seem extreme, according to the Ohio Nurses Association, fatigue and medical errors are happening across the country. Approximately 250,000 deaths per year are due to medical error in the U.S. Currently, 18 states have regulations that nurses cannot be required to work more than 12 hours in a 24-hour time but that’s not the case in Ohio. A study from a national nursing database that compares Ohio to the rest of the nation. It shows practice breakdowns and what they call medical errors. Forty-three percent of problems came from registered nurses. There were problems in ambulances, hospitals and doctor offices resulting in harm, significant harm and even patient deaths. Betsy Houchen is the Executive Director of the Ohio Board of Nursing. I asked her about nurse fatigue and the risk of medical errors. “I think the board would support anything that would strengthen patient safety,” Houchen said. Ohio hospitals are mandated to report medical errors but we found that’s always the case. In fact, the board of nursing claims since 2011 there have been just three cases of nurses who made medical errors. We provided them a case from August of last year. A medical error that involved a patient who was denied oxygen. “If you don’t know about it’s as if it doesn’t exist. We regulate the nurses we don’t regulate the hospitals themselves,” Houchen said. The Ohio Nursing Association believes medical error underreported. “It would be irresponsible for us to think Ohio is different from the rest of the nation that somehow we are providing care where the level of errors are not occurring,” Lori Chovanak, Executive Director of the Ohio Nurses Association, said. The ONA said it surveyed 170,000 of its members and found 35 percent, or 21,000 nurses, say they are afraid to refuse overtime for fear of losing their license and harassment at work and that fear can lead to costly mistakes. “I can tell you that it’s the number one concern of the members of our organization what we’re hearing from nurses they’re telling us they are overworked, they’re telling us they are mandated to work overtime, they’re telling us they feel coerced,” she said. Jim Jasper says until hospitals allow nurses to go home when they are tired, medical errors and medical tragedies will continue. “They need to stand up for themselves and they need to put a stop to it,” he said. The Ohio Hospital Association opposes the ONA’s plan to make mandatory illegal for Ohio’s nurses.